Much to my sisters' dismay, we are once again declining to find out the gender of our baby before it's born. We did this with Parker, and honestly although it was so hard, it was also the best thing ever. It gives me as the Mama (doing all the hard work on birth day) one more thing to look forward to - and nothing will ever compare to your husband telling you if you have a boy or a girl! Plus, Max is very into waiting to find out - he says it's the only real surprise you get in life. With Parker's pregnancy, everyone assumed I was having a girl. I was one of three girls, my mom was one of three girls, and her mom was one of three girls (I realize that the Y chromosome for a boy can only come from the dad, but still, this was too much coincidence to ignore). Everyone was pretty much shocked that he was a boy (strangely except for my mom who called our little bean "grandson" from the first ultrasound). With this pregnancy, I think everyone is assuming BOY. Baby measured big from the get-go just like big brother (which suggests boy) and once again I'm all about real food, not desserts (another wives' tale pointing to BOY - in fact, my almost-nightly habit of eating ice cream has actually disappeared since I fell pregnant!). This time around, it seems like it's more difficult to not find out - we could have been given the gender with my 10 week blood test but declined, and even had the 16 week ultrasound "gender scan" where we had to ask not to see that area. We get asked a lot if we're hoping for a boy or girl, and we really would be thrilled with either. On one hand, I'd love Parker to have a brother - I already feel like a "boy mom" and I have a ton of baby boy and toddler clothes that I've been saving. On the other hand, I would have so much fun decorating a pink nursery and taking a daughter out for manis and pedis in a few years (though girl clothes and bows are very overwhelming to me!). I think that, especially when you've experienced infertility and pregnancy loss, gender is just an afterthought. 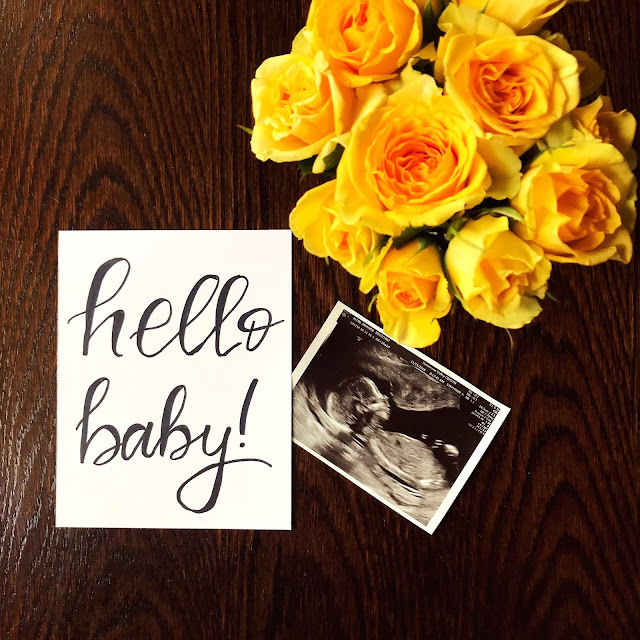 We definitely were confronted with the possibility that Parker might be our only child, so this entire pregnancy feels like such a gift (and is still hard to believe and comprehend!). I'm impressed with y'all and being able to not find out the gender! I wanted to go that route, but curiosity got the best of me :) If baby's heart rate is over 140... my vote is going to be girl! I’ve heard the hanging pencil test is practically a FACT! :). I love the anticipation!